Losugen commits itself to deliver unique, highly efficient wear resistant screen decks which increases screening efficiency, reduces down-time and cost/tonne of material handling. 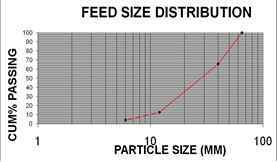 Increase Screening Efficiency & throughput. Increase the life of the decks. Reduce the down-time of the screen machine with maximum availability for production. 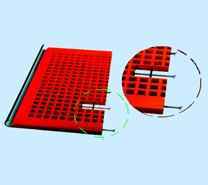 Engineering solutions are provided through our Propriety software / simulation packages used for Losugen Screen Deck Designs. This high end software helps in predicting the screening efficiency and ways to improve the screening efficiency. 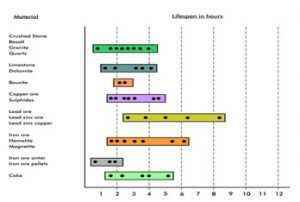 It takes into account ore characteristics along with Losugen’s experience on wear properties to predict the life of the panels. Modeling of each component at the pre-manufacturing stage to ensure perfect fitting of Losugen Screen Decks. 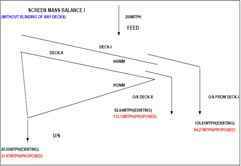 Finite Element Analysis: for structural mechanical strength analysis of Screen Bucker Up Frame and Reinforcements. When requested, we provide our customers with General Arrangement drawings for the Screen Media. 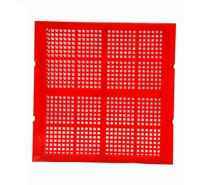 Supervision of installation of our screenmedia and modifications of bucker up frame are part of our value added service. Wear measurements are a source of invaluable information as it helps us in estimation of spares. A Wear Measurement Report is submitted to all our customers after every maintenance shutdown. This assists our customers in planning their inventories. Scalping, Primary Screening, Medium Duty. 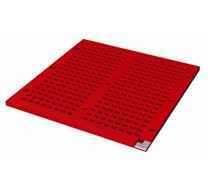 Rubber Panels with metallic hooks for easy replacement with wire mesh. Provides flexibility of wire mesh along with the Impact resistant properties of Rubber – Increased life. Flexible Steel Wire Rope reinforced to prevent elongation while in tension. 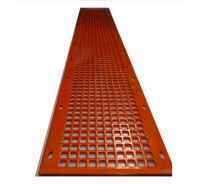 Polyurethane Panels with metallic hooks for easy replacement with wire mesh. 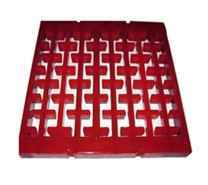 Provides flexibility of wire mesh along with the wear resistant properties of Polyurethane – Increased life. Easy to handle and to fit, the panels being lighter and smaller. 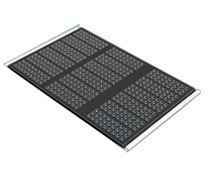 Low replacement cost as large panels are split into numbers of small modular panels. More gripping power of the fixing design of our panels than conventional screen decks as the panels are not exposed to the material being handled. Hence no corrosion or rust. 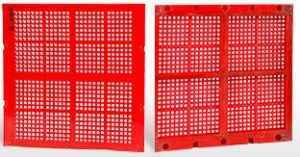 Easy to fit and change our panels, so installation time is reduced. 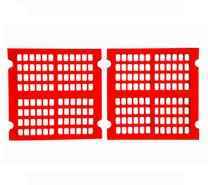 Since there are no locking strips for fixing of the panels, the percentage open area of our panels will be higher than conventional screen decks.. 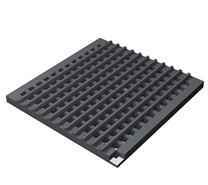 Panels with high flexible Working surface. Aperture shape designed to provide a secondary vibration. For applications where very high ‘G’ value is used for better screening efficiency. Works very well even in application with very high moisture content. Coke at 3 mm with 18% moisture content. Lignite at 6mm with 50% moisture content. Coal at 6 mm with 15% moisture content. 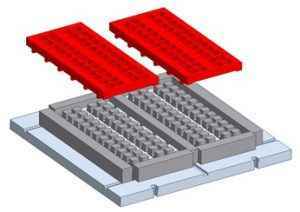 Self-supporting PU panels with encapsulated steel reinforcement. Can be easily bolted directly to the screen frame. Flaring down apertures prevent clogging.